Keep all your remote controls organized and easy to find with this convenient storage rack. 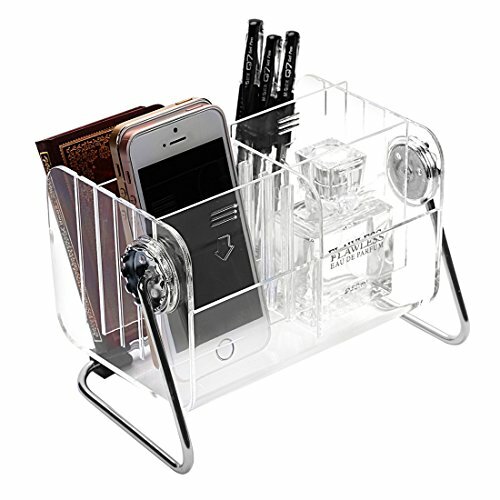 Thanks to the 5 slots arranged in a convenient fan design, this organizer rack allows you to keep up to 5 remote controls perfectly in place and within easy reach. Forget tedious minutes spent hunting down the remote that you need - with this metal remote control caddy, all of your remotes can be kept safely stowed and easy to find. •Please make sure you do not mind before you bid, thank you! If you have any questions about this product by Ivosmart, contact us by completing and submitting the form below. If you are looking for a specif part number, please include it with your message.